We who live in Israel know that stones thrown by 10 year olds do not blow brains out. Just as we see every day the Israeli jeeps circling Palestinian children on their way to and from school and greet them with stun-bombs, “rubber” bullets and riot control gas. Abir Aramin is dead. The doctors at Hadassah will not disclose the cause of her death to her parents or her friends. Her family has requested an autopsy. Her father, Bassam Aramin, is one of the founders of Combatants for Peace. My son, who served as an Israeli soldier in the occupied territories, is also a member. They are friends. Bassam told us that he cannot rest until his daughter’s killer convinces him that nine year old Abir threatened his life or the life of the other soldiers in his jeep. I fear he will never have the chance to rest. Abir Aramin has joined the thousands of other children killed in this country and the territories it occupies. She will be welcomed by my own little girl, Smedar. 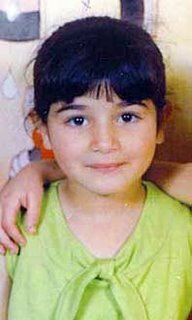 Smedar was killed in 1997 by a suicide bomber. If her killer had survived, I know he would have been sent to prison for his crime. In the meantime, I sit with her mother Salwa and try to say, “We are all victims of occupation.” As I say it, I know that her hell is more terrible than mine. My daughter’s murderer had the decency to kill himself when he murdered Smadar. The soldier who killed Abir is probably drinking beer, playing backgammon with his mates and going to discotheques at night. Abir is in a grave. Abir’s father was a warrior, who fought the occupation –officially a “terrorist,” although it is a strange logic that calls those who resist the occupation and dispossession of their people as terrorists. Bassam Aramin is still a fighter –but as a peace activist. He knows, as I know, that his little dead girl takes all the reasons for this war to her grave. Her small bones could not bear the burden of life, death, vengeance and oppression that every Arab child here grows up with. Bassam, as a Muslim, believes he must pass a test –as a man of honour not to seek revenge, not to give up, not to neglect the struggle for dignity and peace on his own land When he asked me where we find strength to go on, I said the only thing I could think of: from the children who are left to us. His other children, my three living sons. From the other Palestinian and Israeli children who have a right to live without their elders forcing them into being occupiers or occupied. The so-called enlightened, western world does not get what is happening here. The whole enlightened world stands aside and does nothing to save little girls from murderous soldiers. The enlightened world blames Islam, as it once blamed Arab nationalism, for all the atrocities the non-Islamic world is inflicting upon Muslims. The enlightened west fears little girls with scarves on their heads. It is terrified of boys in keffiehs. And in Israel, children are educated to fear, most of all, the fruits of the Muslim womb. When they become soldiers, they see nothing wrong in killing Palestinian children “before they grow.” But Basam and Salwa and all of us–Jewish and Arab victims of the Israeli occupation – want to live together rather than die together. We see our children sacrificed on the altar of an occupation that has no basis in law or justice. And, outside, the enlightened world justifies it all and sends more money to the occupiers.